I spent some time today finishing a tutorial and pattern for the Little Fishy Bean Bag/Soft Toy I designed. The tutorial and pattern have directions to use poly-pellets and buttons. To change it to a soft toy for a small child or baby, just replace the buttons with appliqued felt circles and fill the entire toy with polyester fiberfill. Enjoy! 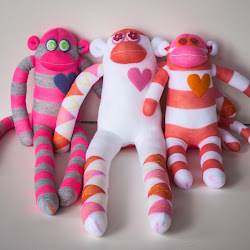 If you want to make them, please do - but please limit them to personal use only (no sales). 1. 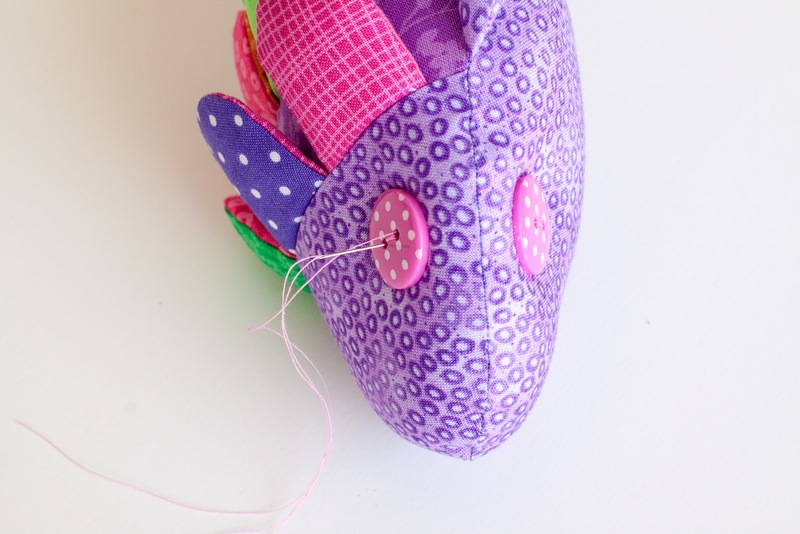 Print template onto card stock and cut out pattern pieces. 2. From main fabric print - cut one 9”x6” rectangle for fish back, one 4”x6” rectangle for upper and lower fins, and one fish head (pattern piece #6). 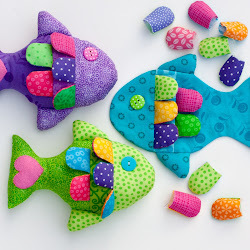 Note: I like to use 3 different prints in the same colorway for the fish front pieces and have the back and fins match the fish's head. 3. 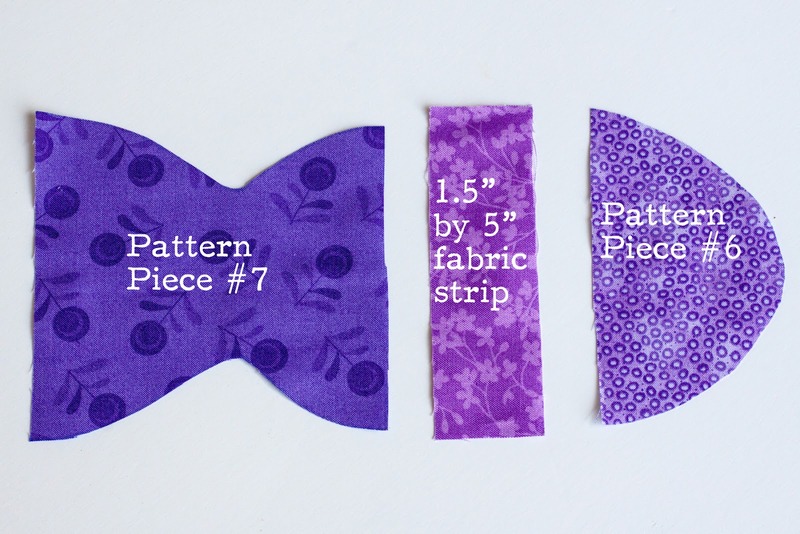 From 2nd printed fabric in same color as main, cut one 1.5”x5” strip. 4. From 3rd printed fabric in same color as main, cut one pattern piece #7. 5. Cut one pattern piece #3 from felt. 6. 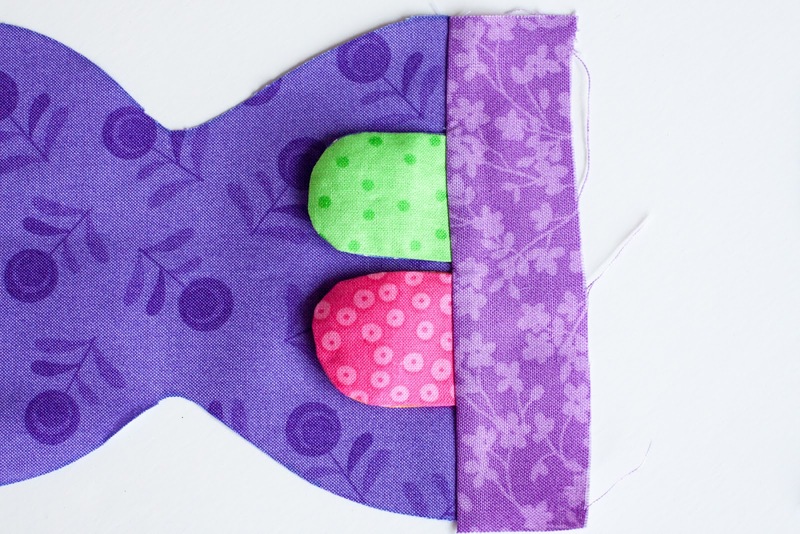 Fins: Fold 4”x6” main color rectangle in half with right sides and short ends together. Trace upper fin (#5) and lower fin (#4) on one side of folded rectangle. Sew on traced lines leaving straight sides open for turning. Trim and turn right sides out, stuff with fiberfill, and sew edges together within seam line. All seams are 1/4 inch unless noted otherwise. 7. Fish Scales: Trace pattern piece #2 on to wrong side of 5 2” fabric squares. Sandwich square with traced pattern together with another 2” square right sides together. 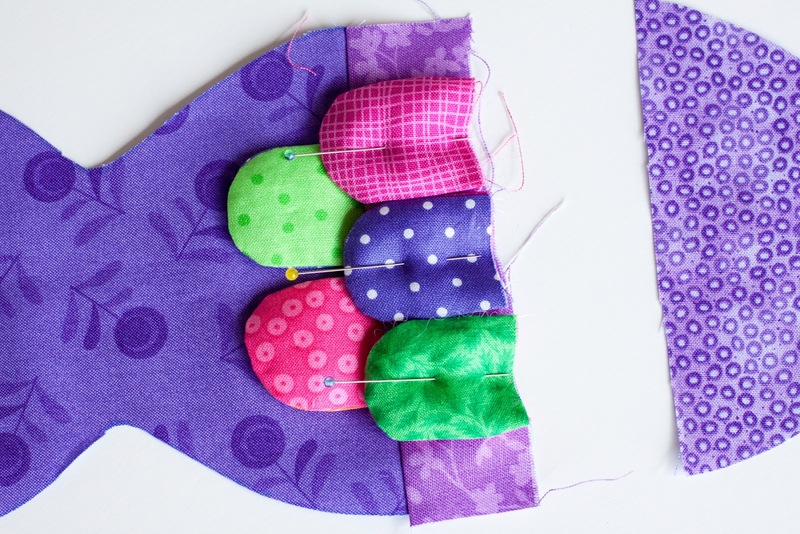 Sew each of the 5 sandwiched squares on traced line leaving straight sides open for turning. 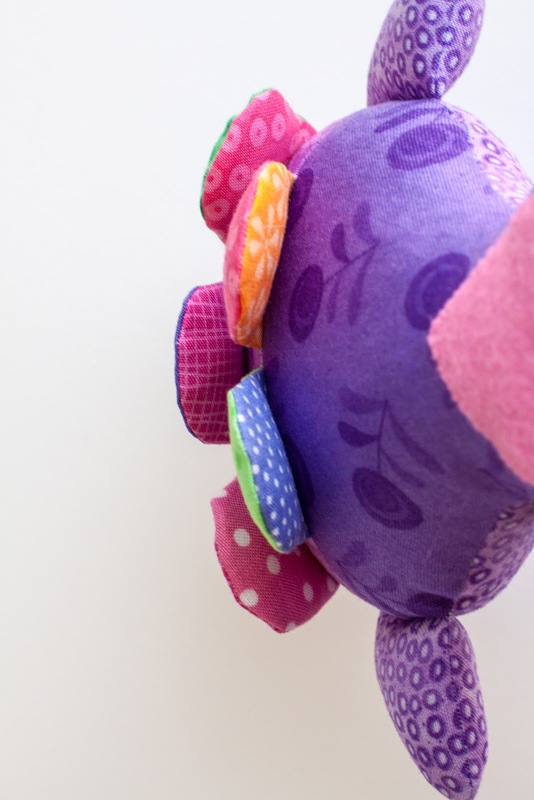 Trim and turn each piece right side out and stuff with a small amount of fiberfill (just enough to give it a little volume, not stuffed full). 8. 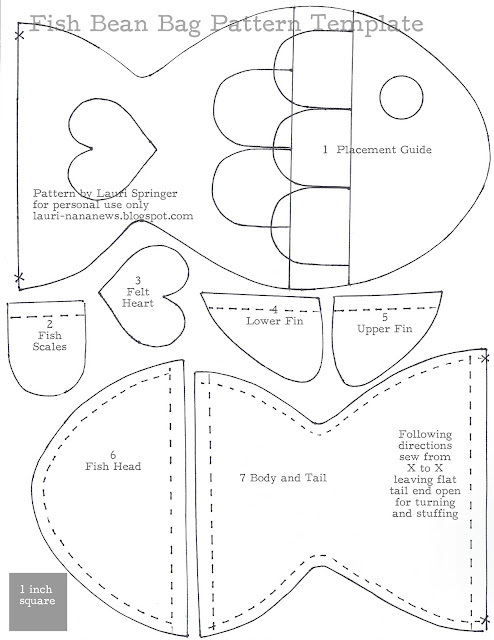 Position 2 of the scales (#2) on right side of fish body and tail (#7) as shown in placement guide. 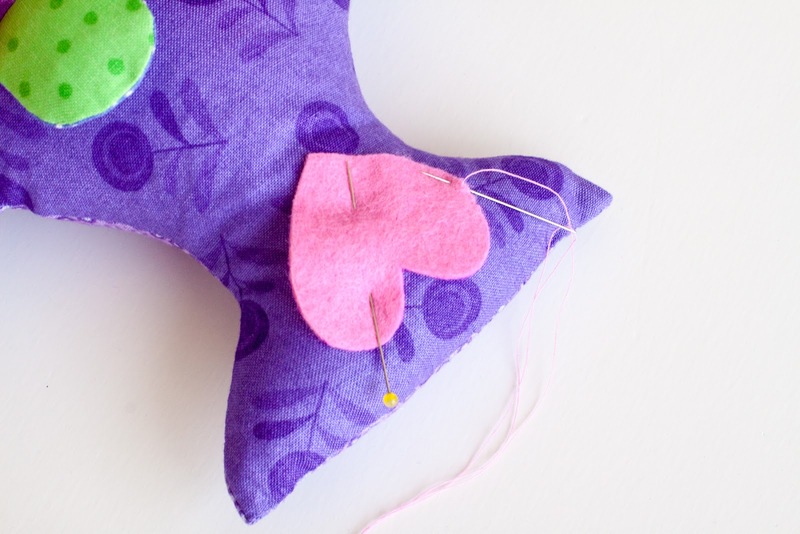 Pin and sew in place within seam line. 9. 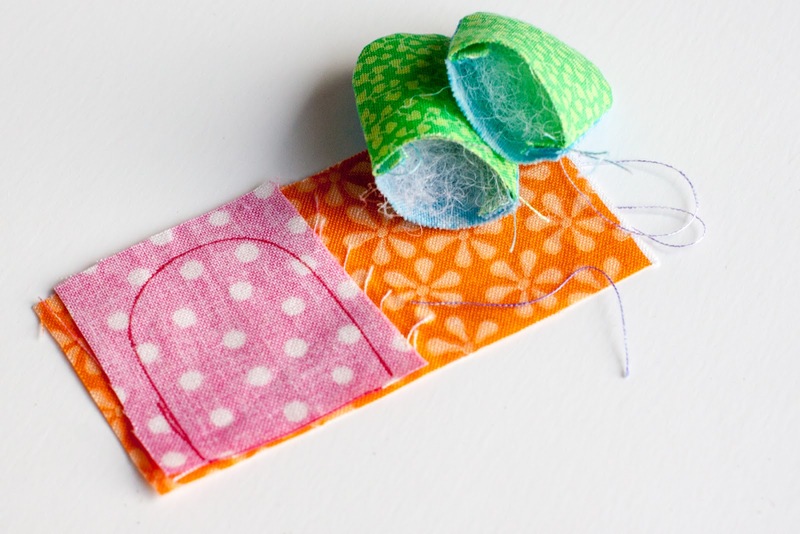 Place 1.5”x5” fabric strip on top of #7 and scales right sides together matching edges. 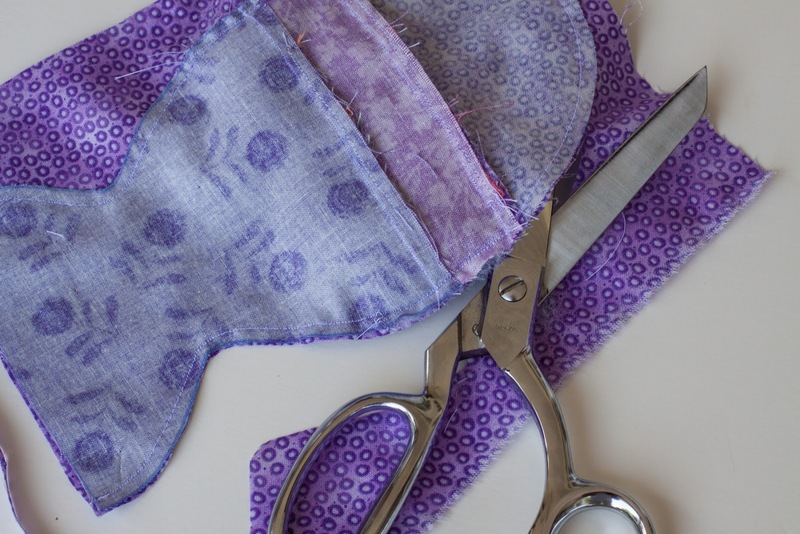 Sew seam on straight edge, open and press with scales on side of #7. 10. 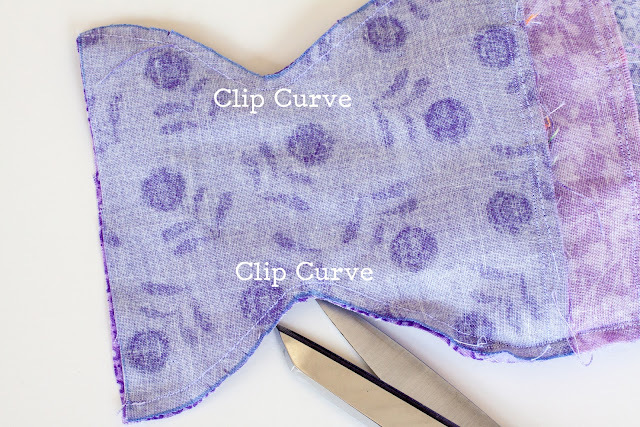 Place 3 remaining scales (#2) on raw straight edge of fabric strip as shown in placement guide. Pin and stitch in place withing seam line. 11. 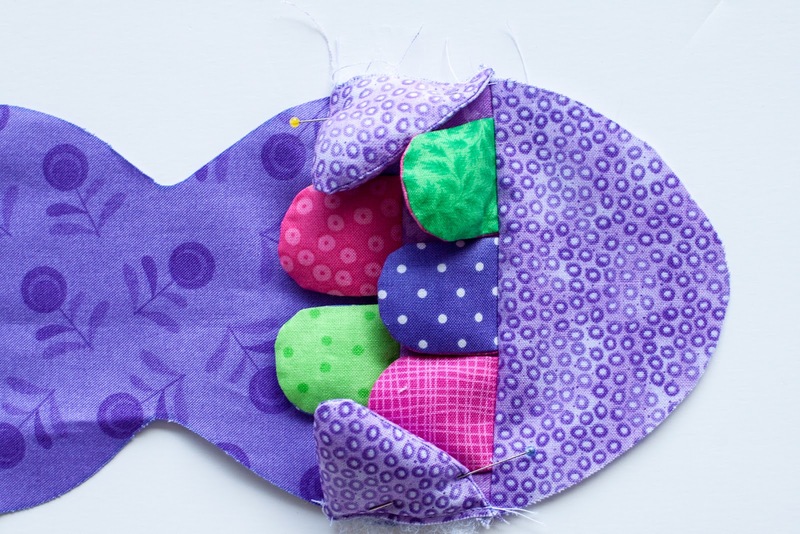 Place fish head (#6) on top of strip with 3 scales aligning straight edges and right sides together. 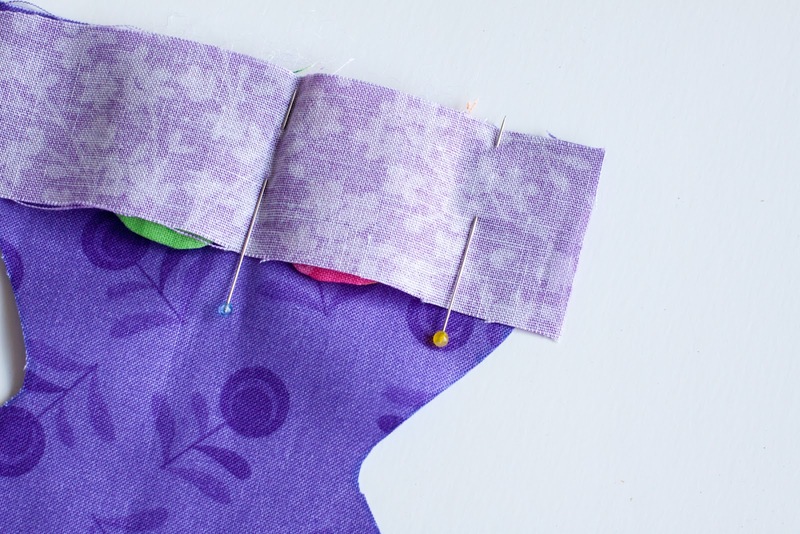 Sew seam on straight edge, open, and press with scales towards the fabric strip. 12. 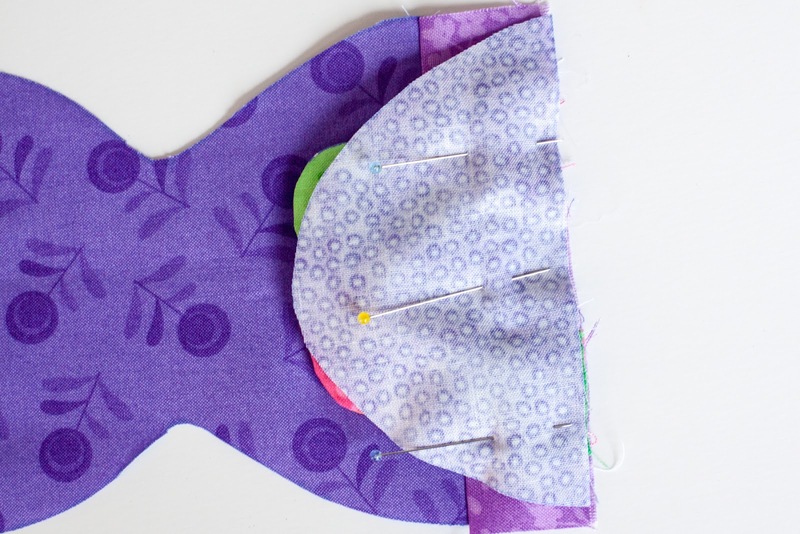 Pin upper and lower fins onto fish body front right sides together aligning front edge with seam between fish head and fabric strip. 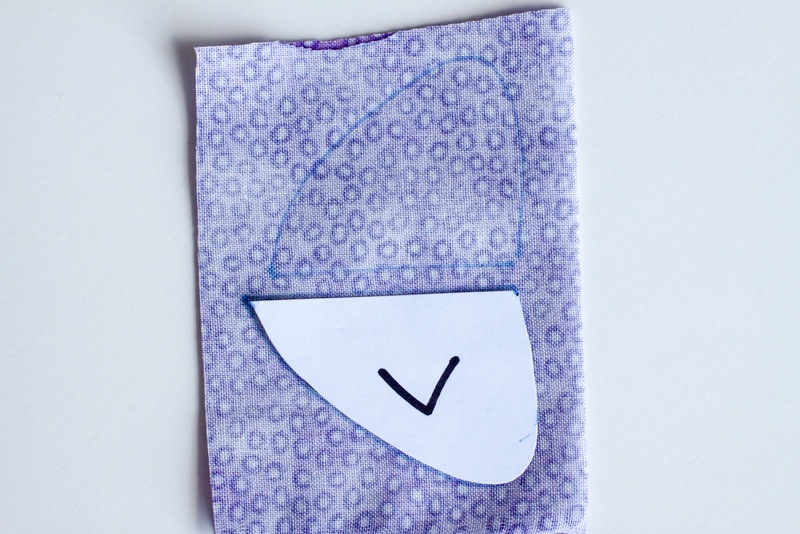 Stitch within seam line. 13. Place fish body top on remaining 9”x6” rectangle of main fabric right sides together. 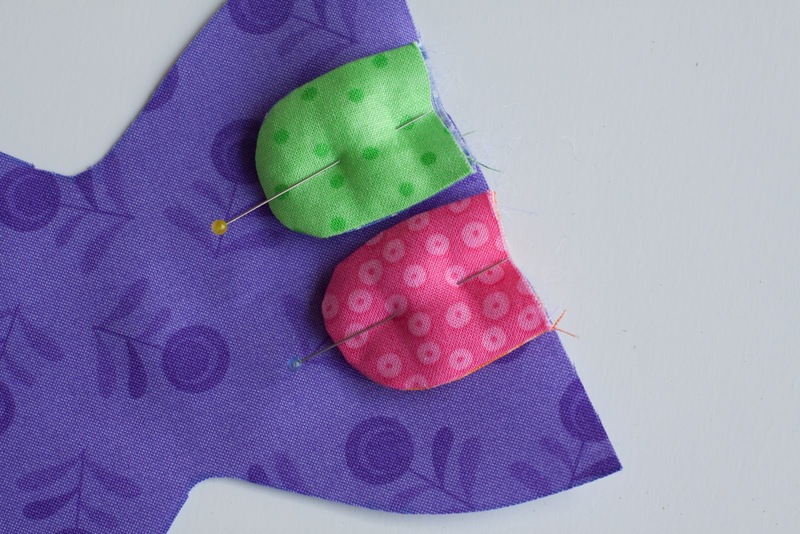 Pin and stitch body from x to x leaving straight edge of tail open for turning and stuffing. 14. Trim seams to 1/4 inch and clip inner curves of fish tail. 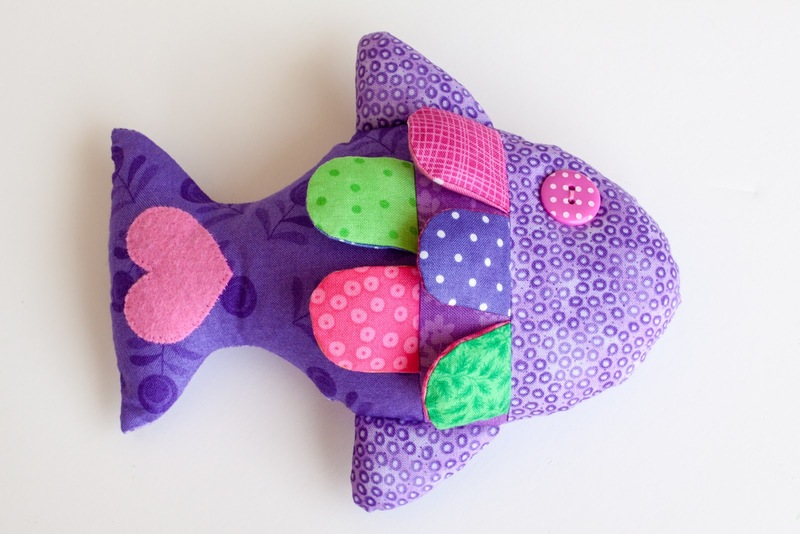 Turn fish carefully right sides out through tail opening. 15. 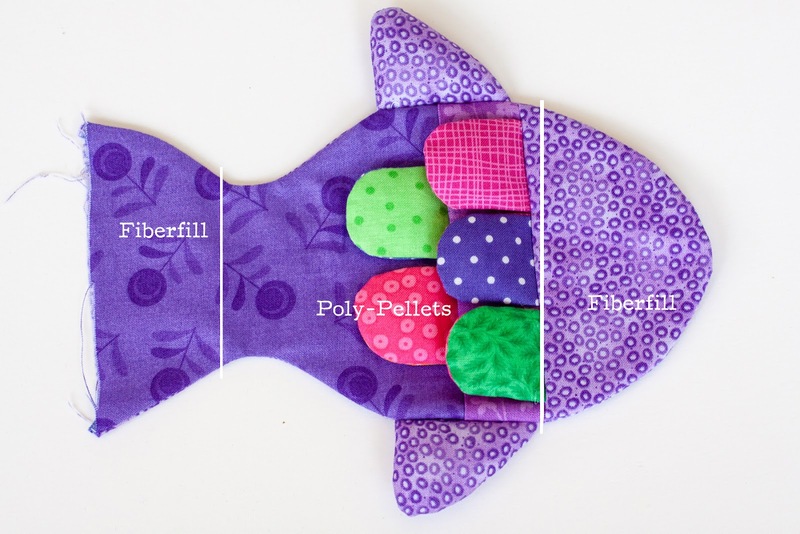 Stuff head of fish with fiberfill, then fill body with poly-pellet beads to the middle of the tail. Stuff remainder of tail with fiberfill. 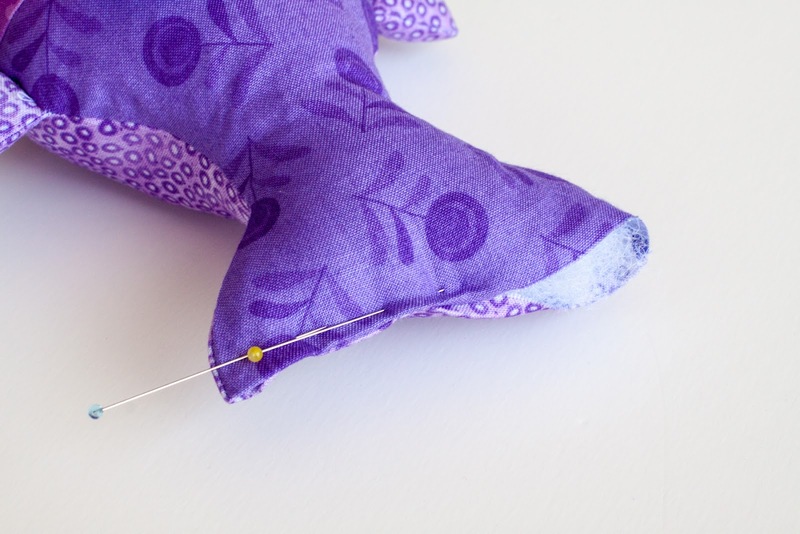 Turn raw edges of tail in 1/4 inch and hand stitch to close. 16. 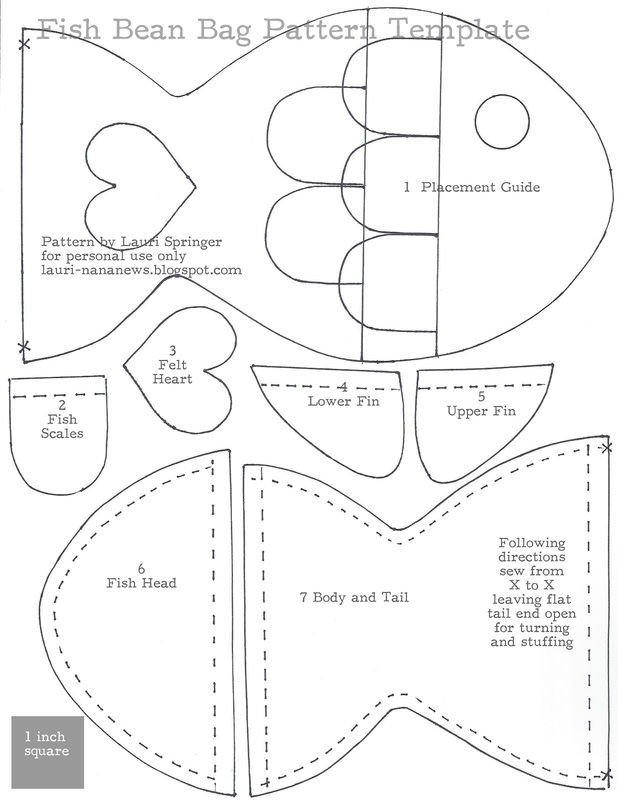 Applique felt heart on tail positioning as shown in template’s placement guide. 17. Position buttons on fish head as shown in placement guide. 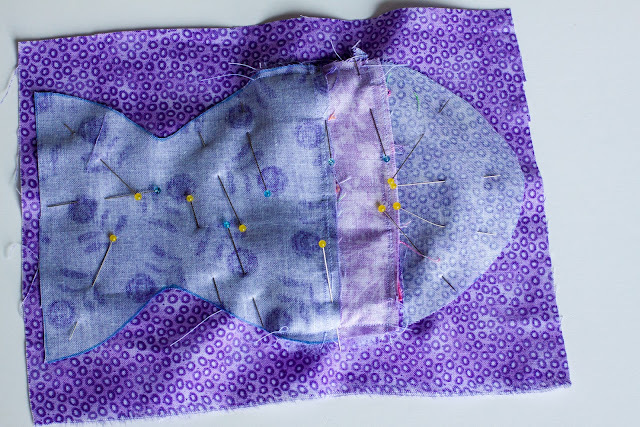 sew buttons in place by taking needle/thread through button on top side of fish and through button on back of fish drawing thread to slightly indent the eyes. 18. Enjoy your fish, he is finished! Here are shots from front, back, and side (showing multi-colored underside of the fins). 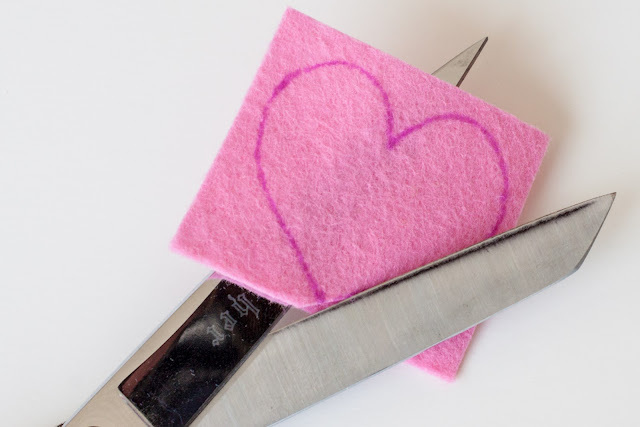 Sew up a school of these for your favorite child! 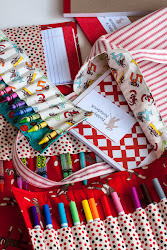 I just discovered your blog when I was looking for crayon wallets (yours is very good!). 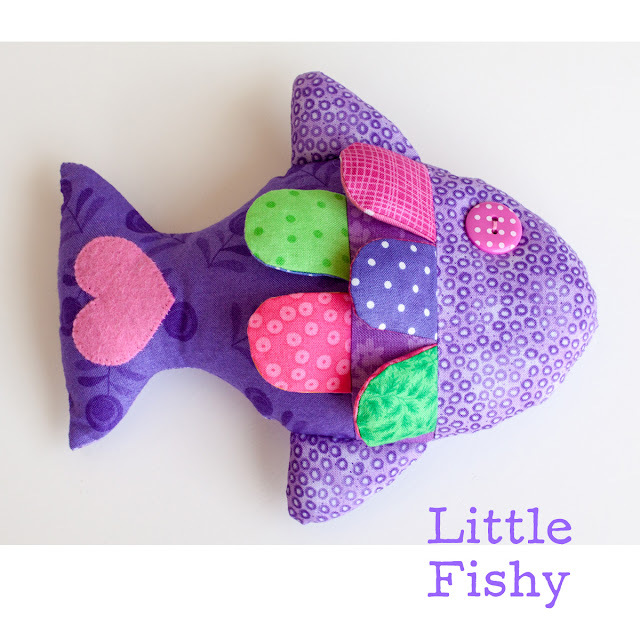 I love this fish and I will make one. Thanks for the tutorial/pattern. 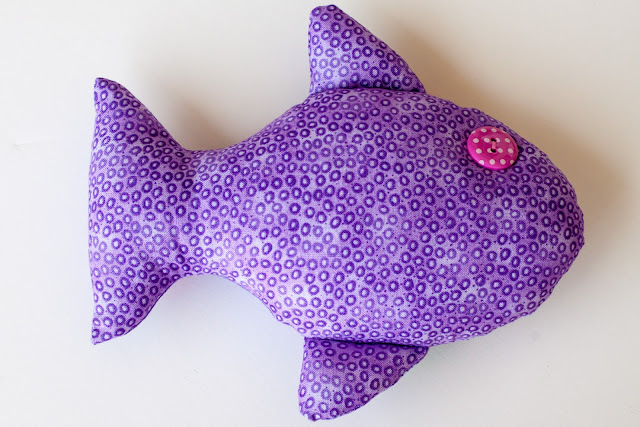 My 2yr old loves "Hooray for Fish"by Lucy Cousins, so I know he will love this! so cute !! thank you so much for sharing !! Adorable! The colors encourage me to make one and show off with my beautiful fish.....lol! your fishes are so cute. 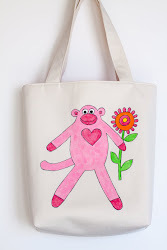 We are are group of women and sewing specially pillows for women with breast cancer and also little pillows for children hospitals, to give a small gift to the sick children. 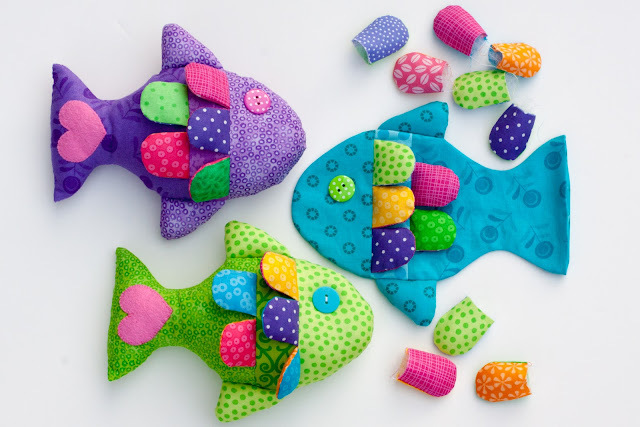 Do we get your allowance, to sew some of this fishes for the sick children tooo??? Merci beaucoup pour ce super tuto !! merci ! Bravo et merci, je vais essayer de le coudre pour une naissance.. Gracias! !Es un buen tutorial.No es necesario traducir al español. Lo voy a utilizar para personalizar una camiseta.Meteré un poquito de relleno para dar volumen, pero no demasiado. Thanks for the great tutorial. I really enjoyed making it. Check it out when you get a chance - I'd love your feedback! How did I just now find your blog? 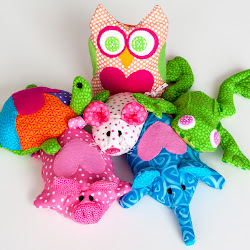 Your creations are so stinkin' cute! Love the designs as well as your use of color. 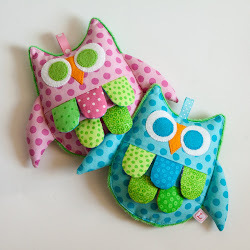 I only have three grandchildren but think I'll have to make up a bunch of fish, owls, etc for them and stockpile some for future kiddos. I just wanted to say that I have just spent two hours on your blog, which has filled me with a sense of true wonderment... 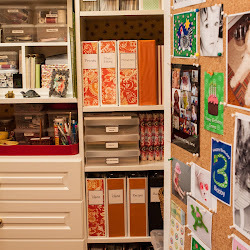 I am so very happy that I found your site (by the way through Pinterest). You are so gifted and your use of colour is incredible! Thank you!!! 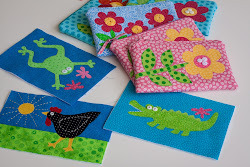 Publiquei ele no meu blog http://moniceterra.blogspot.com coloquei os devidos créditos, mas se tu quiser que eu retire não tem problema é só me avisar!!! müthiş ötesi güzel ellerinize sağlık çok beğendim. So Cute♥ Thank you so much for sharing this tutorial! 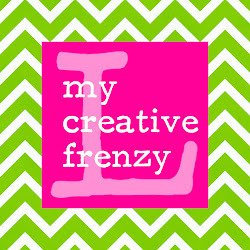 I am making a craft directory, here is my link http://dcrafterscorner.blogspot.com/. 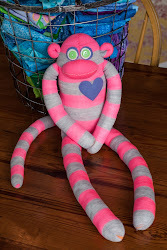 I am asking the permission to post links to your free projects or patterns. I will add a description and a photo. Merci pour le tuto de ces petits poissons tellement mignons ! J'en couds un pour mon petit fils ! These are very cute little fishes. My friends and I fill boxes for Operation Christmas child each year that send gift boxes overseas. 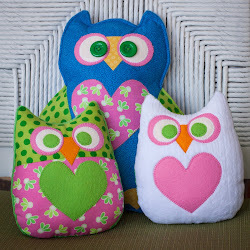 I saw that you are ok if people use your pattern as long as they don't sell them. Would it be ok if our group makes a bunch of these to include in the boxes? We filled 310 boxes this year with many of my own creations included in them and we are looking to beat that number next year and I am looking for more ideas to use. jUST FINNISHED MY FIRST FISHY. HAVE 4 MORE CUT OUT .LOTS OF BABY SHOWERS THIS SUMMER. THIS IS A FAIRLY EASY PROJECT, AND YES SO CUTE! THANKS FOR SUCH A CUTE IDEA. Hi ! Very cute and colourful fish . Loved it. Can we get the pattern please.